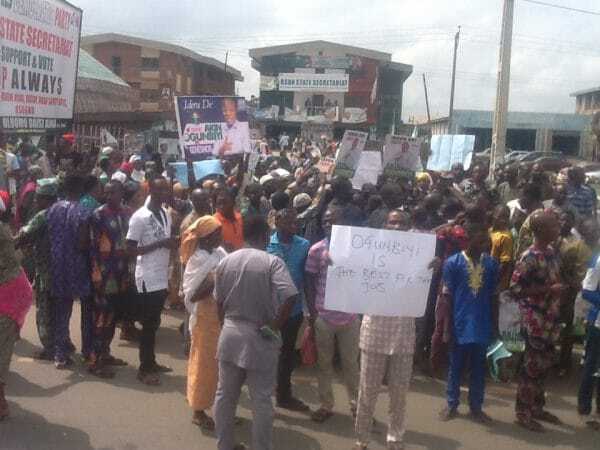 Supporters of a Peoples Democratic Party’s governorship aspirant in Osun State, Dr Akin Ogunbiyi, protested the alleged manipulation of the Saturday primary election of the party in favour of Senator Ademola Adeleke. 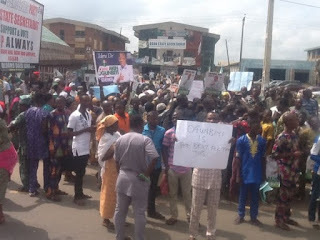 Scores of protesters armed with placards with various inscriptions in support of Ogunbiyi claimed that he was the winner of the primary election but the result was manipulated to favour Adeleke. The angry supporters said the party might suffer a huge loss at the election if nothing was done to address the alleged electoral fraud. Some of the supporters of the aggrieved aspirant said the opposition party would make the election easy for the governorship candidate of the All Progressives Congress, Alhaji Gboyega Oyetola, if Adeleke was presented as the PDP candidate.